This best-selling textbook presents a comprehensive and accessible overview of the study of memory. 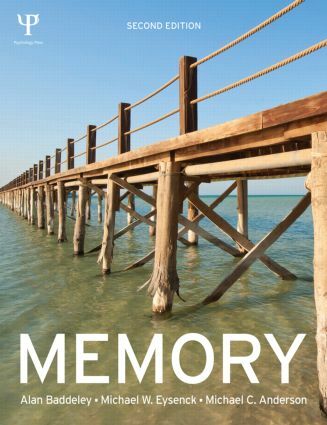 Written by three of the world’s leading researchers in the field, it contains everything the student needs to know about the scientific approach to memory and its applications. Each chapter of the book is written by one of the three authors, an approach which takes full advantage of their individual expertise and style, creating a more personal and accessible text. This enhances students’ enjoyment of the book, allowing them to share the authors’ own fascination with human memory. The book also draws on a wealth of real-world examples throughout, showing students exactly how they can relate science to their everyday experiences of memory. The book is supported by a companion website featuring extensive online resources for students and lecturers.